Big cities like New York, Los Angeles, and San Francisco need to prepare for self-driving cars, and consultancy firm Arcadis’s new study has some tips. In more ways than one, the rise of autonomous cars is going to change the very shape of our world. That’s the key idea behind a new study released by design consultancy firm Arcadis, which takes a deep-dive into how the technology will transform the transportation habits and urban design of major cities around the world. But while the technological revolution is inevitable, the adjustments urban areas must make for it are less clear-cut—and the report goes on to investigate what it will take for specific cities to successfully implement self-driving rides into their infrastructure. Each city is its own microcosm, with different cultural backgrounds and structural blueprints that will dictate completely different sets of needs when adapting to autonomous cars. First and foremost, argues Arcadis, the citizens of the city must be bought in on the idea. National, regional, and local governments must be invested in propagating the driverless rides as well. How much money a city has to invest is also key—and highly dependent on how many tweaks must be made to pre-existing roads, tunnels, buildings, parking lots, sidewalks, and the myriad laws and codes that dictate their construction and use. 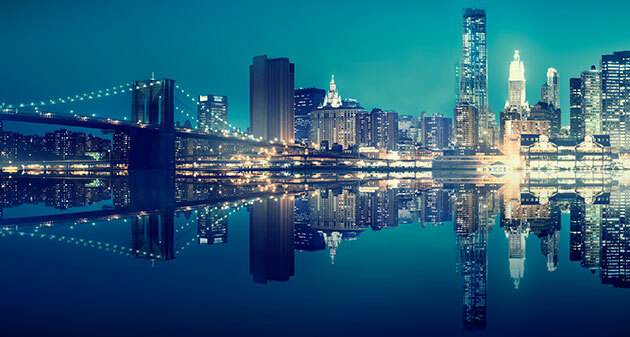 Arcadis examined the specifics for 14 major metropolises around the world—including three of America’s most prominent cities. Below is a look at what it will take for New York City, Los Angeles, and San Francisco to welcome autonomous cars. The City that Never Sleeps spends plenty of its waking hours in motion: New York City averages 2.4 billion passenger trips per year, with 62% coming from mass transit options and 33% of residents using ridesharing services regularly. Indeed, NYC has the lowest rate of vehicle ownership among all US cities, and with just 77% of its 6,000 miles of street occupied by cars currently, autonomous autos will have plenty of runway to launch there. The local government seems to agree, with several programs in place to incentivize or otherwise encourage the proliferation of electric vehicles and autonomous rides, including a 2018 city law that allows for the testing of self-driving cars on city streets—with registration dates for automakers extending through 2019. Still, to provide greater clarity for future investors, Arcadis recommends that the date should be extended even further. The firm also notes that the city’s infrastructure is ruled over by several different agencies—which may serve to more swiftly introduce autonomous rides if they were streamlined. And according to Arcadis, the smaller design of New York City roads means the region should push for more high-occupancy autonomous vehicles. The biggest issue for getting the City of Angels on board with autonomous cars will be breaking the area’s serious driving habit. The city houses 700 cars for every 1,000 residents, and its appetite for ridesharing was described in the report as “weak,” with 71% of trips in L.A. taking place in a private, single-occupancy vehicle. The city houses 700 cars for every 1,000 residents, and its appetite for ridesharing was described in the report as “weak,” with 71% of trips in L.A. taking place in a private, single-occupancy vehicle. Still, residents recently voted for a sales tax to exclusively deal with transportation projects while electric vehicles are on the rise, sparking some hope that Angelenos may yet embrace the future of transportation. And the city is subject to a startling amount of traffic accidents—100 per day—making the exacting nature of a robo-chauffeur even more attractive. Yet while the government has offered some incentives for electric vehicles and one transit authority has called for an autonomous bus trial by 2020, the remainder of the city’s infrastructure is watched over by a scattershot of organizations each with different messages. None of which, the report notes, seem to be pushing too hard for autonomous cars. The group recommends that those in charge begin brainstorming ways to encourage the use of ridesharing and public transportation first, along with promoting self-driving cars as tools for increased safety on the streets. 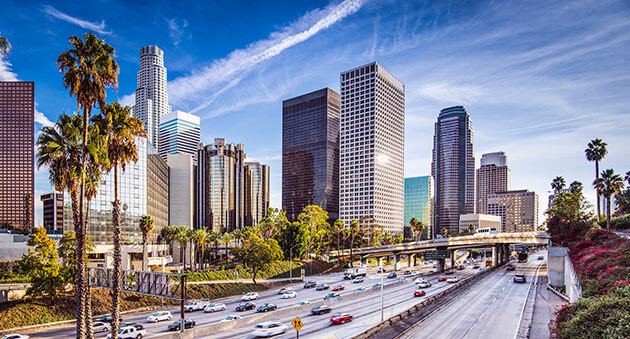 At that point, Los Angeles can begin developing pilot programs for more testing there—and start aligning regulations with any federal mandates. The birthplace of the autonomous car, San Francisco may be the furthest along for adopting the vehicles completely. Its citizens are already well used to the idea—and sight—of the self-driving rides. The city’s government has already rolled out a number of initiatives to promote their use, including tax incentives for businesses dealing in self-driving rides and policies calling for autonomous cars to be used to “fill in the gaps” of existing transit needs. And there are plenty of those. 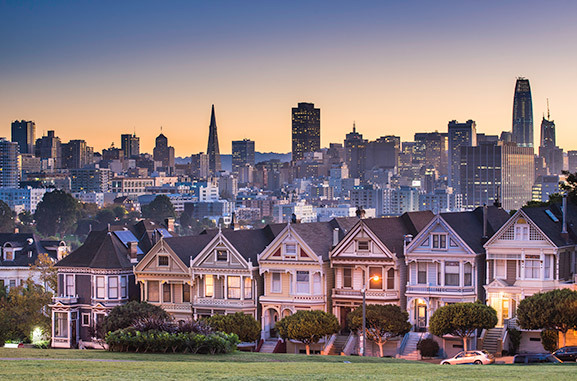 San Francisco sees more than 1 million car-based trips per day. The use of automobiles downtown is only expected to grow, projected to increase by 30% by 2040 if no interventions are made. Still, with more than 50 businesses licensed to test autonomous cars in California calling the city home, there’s plenty of appetite to address the issue—and keep pushing for the expansion of the new-age rides. Indeed, the city plans on launching a driverless shuttle pilot soon and has designs for a 5G roll-out sometime after 2019, which will be hugely helpful to support the high-tech transportation. But San Francisco could also capitalize on its leadership role to push for testing on increasingly cutting-edge experiments, such as those involving remotely-controlled cars, Arcadis suggests. And the city would do well to further promote the use of ridesharing, to get even more residents on board with the cars of the future.